This year, 2019, marks the 47th anniversary of the formal establishment of the Five County Association of Governments. While the Five County AOG was officially created in 1972, informal cooperation amongst the five member counties, along with the municipalities within them, as a group, has take place since the 1950's. Farsighted leaders of the past envisioned the time when our world-class scenic landscapes, mild climate, beautiful communities and hard-working people would foster the evolution of a major regional center in the West. That time has arrived. Southwestern Utah has come into its own. The Five County Association of Governments is a key player in aiding locally elected officials in coping with regional challenges. The Association has a main office location in the Tonaquint Center High Tech Business Park in St. George City and a satellite office in Cedar City. We also have dedicated staff in other locations within our service areas. More information on the Association, including our Vision and Mission, can be viewed using the "What is The FCAOG" link on the "About" tab above. Our office addresses, as well as maps to locate them, are found using the "Contact" tab above. The Five County Association of Governments, an equal opportunity employer, is looking for a Weatherization Technician to join their Weatherization Program. Weatherization Technicians help homes become more energy efficient and help the homeowner save money. Applicants must have previous construction experience in at least one of the following areas: carpentry, dry wall, electrical, plumbing, or HVAC. Work with great people and receive great benefits!. A completed application for this position must be received by 5:00 p.m. on Friday, April 19, 2019. The position is described in detail on our Human Resources page. Click HERE to go to our Human Resources page to view the complete job announcement and position description, as well as specific instructions on how to apply, for each position. The required Employment Application needs to be downloaded from that page. A provision from the tax cut legislation passed by by Congress in 2017 may have positive economic impacts in southwestern Utah, with investors incentivized to develop businesses in some of the area’s lowest-income neighborhoods. Large swaths of Washington, Iron, Beaver and Garfield counties are among the places across Utah identified this summer as federally-recognized “Opportunity Zones” — areas designated where investors can avoid some taxes in exchange for funding new development. The hope is that development creates jobs, reduces poverty and sets the groundwork for further economic growth in areas largely being left behind by the state's overall job growth. This region, including even fast-growing Washington County, still ranks overall as a distressed regional economy, based on federal guidelines, thanks to low wages and a limited mix of businesses. Click HERE to go to view a PDF map of this region's Opportunity Zone areas. 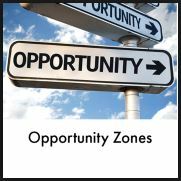 Click HERE to go to a web page with an interactive map of the nation that you can view all Opportunity Zones. Each year the Five County Association of Governments has an independent audit of our organization conducted by a qualified public auditing firm. The FY2018 Audit was completed by the Certified Public Accounting firm of Hafen-Buckner of St. George City, Utah and the report was presented to our governing body, the Steering Committee, for acceptance. The FY2018 Audit Report is available for public review as a PDF scanned copy of by clicking on THIS LINK. A regional Multi-jurisdictional Natural Hazard Mitigation Plan was developed by the Five County Association of Governments' staff in collaboration with all of the cities and the five counties, and almost all of the towns in this region. The Plan contains information regarding the type, location and extent of eight regularly occurring hazards in the Five County area and includes information on previous occurrences of hazard events and the likelihood of a future hazard event. The natural hazards identified in this plan are: wildfire, flood, landslide, drought, severe weather, problem soils, earthquake and radon gas. Click on this link: https://hazardmitigationplan.org to go to the special web site developed to present the Plan to the cities, towns, counties and the public. 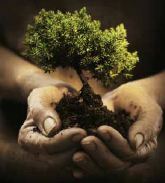 The popular Community Services Resource Directory for southwestern Utah is available. The Directory, published with Community Services Block Grant funding, is distributed through the Community Action Partnership of the Five County Association of Governments. While the Directory is targeted primarily to the under served population, many services apply to all levels of income and need. The Directory is available to view online or may be purchased. The updated Comprehensive Economic Development Strategy (CEDS) document for the Five County Association of Governments economic development region was submitted to U.S. Department of Commerce, Economic Development Administration Denver Region and was approved by that federal agency. For more information on the CEDS document, please contact Bryan Thiriot, Executive Director, Five County Association of Governments, via e-mail: bthiriot@fivecounty.utah.gov or by telephone: (435) 673-3548. The Five County Association of Governments has a Revolving Loan Fund. The purpose of the Revolving Loan Fund (RLF) is to create permanent, long-term jobs within the southwestern region of Utah by providing gap financing to qualified businesses for eligible activities. Loans made through the Revolving Loan Fund are intended to help bridge the gap created by shortfalls in commercial financing. Funds are repaid into the program and recycled to other businesses, thus allowing an on-going job creation program. Funds are available in Beaver, Garfield, Iron, Kane and Washington County, Utah. The Five County Microloan Program focuses on loans of $50,000 or less. The importance of these loans lies in their ability to offset the difficulty that businesses experience in receiving traditional bank financing. If a business loan candidate needs more than $50,000 they are encouraged to apply through the regular Five County Revolving Loan Fund which can provide gap financing in conjunction with a primary commercial lender. In most circumstances we can fund up to 50% of an eligible business capital need with up to approximately $200,000 of RLF fund participation. As required by Utah Code the Five County Association of Governments publishes all of its public meetings on the "Utah Public Meeting Notice" (UPMN) web site. You can search for our meetings by date or subject keyword. To locate all of the meeting announcement postings published on the UPMN site by the Five County Association of Governments you can use this link and use the "Advanced Search" tab. You will need to type in the word five into the "Entity" box, highlight the "Five County Association of Governments" link that comes up, select a date range you want to view and then click on the "Submit" button. It will then show all upcoming meetings scheduled by the Five County AOG in the date range you selected. Alternatively, you can use this LINK, choose to Find a Notice, and select "Associations of Governments" for Government type, choose "Five County Association of Governments" for the Entity, and you will see the Public Body list with links to each of them. Click Here for more info on what the FCAOG is all about.